Hip implant recalls cost orthopaedic manufacturing companies Stryker and Johnson & Johnson millions of dollars so far in 2013, according to first-quarter earnings reports by the companies. Stryker Corporation’s report of quarterly net earnings includes a $40 million charge related to the 2012 voluntary recall of its Rejuvenate and ABG II Modular-Neck Hip Stems, hiking the overall recall cost to $230 million. Meanwhile, Johnson & Johnson added several hundred million dollars to litigation expenses in the first quarter of 2013 related to DePuy ASR hip recall. J&J previously listed its litigation costs for the ASR hips at more than $900 million. Complications with Stryker and J&J implants — including metal poisoning, debilitating pain and hip dislocation — caused the devices to fail long before their intended lifespan, prompting the manufacturers to pull them from the market. The unusually high rates of early failure stirred up concerns among patients, physicians, lawyers and the U.S. Food and Drug Administration (FDA) about the long-term viability of hip implants. Researchers began investigating the causes and extent of the problem, but many questions remain unanswered. Johnson & Johnson’s recalled implants feature a ball and socket joint with components made entirely of metal, as opposed to traditional models that use a combination of metal and plastic or ceramic materials. These relatively new implants belong to a class of devices known as metal-on-metal hips. Metal-on-metal implants were hailed initially as more durable and overall as superior to older devices, but post-marketing data revealed that everyday use causes corrosion that sheds potentially harmful metallic debris. The debris can collect in the area around the implant causing painful inflammatory reactions and can enter a patient’s bloodstream, causing additional complications. Complications related to MoM hips are not considered life threatening but can be debilitating and leave recipients racked with pain. The hips can cause crippling injuries that require revision surgery to have the device replaced. 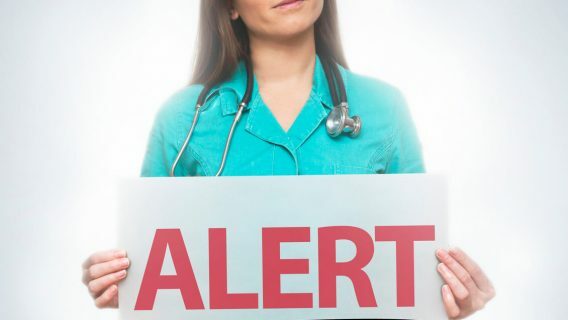 Doctors also can’t predict which patients are likely to have an adverse reaction to the microscopic metal particles that are released into the bloodstream, when that reaction will occur or how severe it will be. Many physicians stopped implanting patients with all-metal hips, opting instead for implants that are considered safer. There is no research data spelling out whether the risk for complications is the same for all metal hip manufacturers. Hip replacement systems other than MoM systems also report higher-than-normal failure rates. Stryker’s Rejuvenate and ABG II modular-neck hip stems are not considered metal-on-metal because they do not use a metal ball in a metal socket, but they do contain metal-on-metal components. These components can cause the same problems as Johnson & Johnson’s recalled hips. Stryker recalled the Rejuvenate and ABG II hip systems in 2012 over risks of fretting or corrosion at the joint where the two hip components meet. Metal particles shed from these devices have resulted in pain, swelling and adverse tissue reactions near the hip. A growing number of lawsuits allege that Stryker and Johnson& Johnson did not test their devices properly and failed to warn doctors and patients about the potential health risks. Both companies, however, maintain that the complications and ensuing device failures were not caused by flaws in the design of their implants. Instead, they blame surgeons for not implanting the devices correctly. 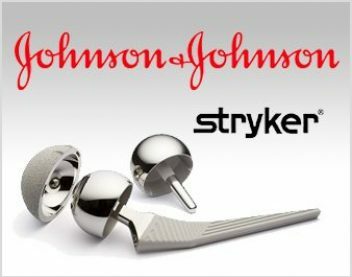 Litigation for Johnson & Johnson’s DePuy ASR hips is underway, and the Stryker trials will soon follow. 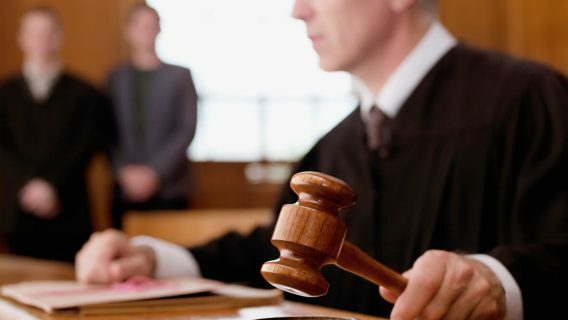 Because many of the legal claims against Stryker allege the same problems, all federal lawsuits against the company may be consolidated to one court to be managed more efficiently. Stryker’s first-quarter earnings took a noticeable hit from the recall, falling 13 percent year over year. In January, Stryker told investors its hip recall ultimately could cost the company between $190 and $390 million, including the cost of patient testing and treatment, revision surgeries, insurance claims and lawsuits. The final price tag of the hip complications depends on a number of factors, including litigation costs and the number of patients who will require testing and follow-up treatment. Stryker’s lawsuit losses were offset in the first quarter by growth for the company’s Neurotechnology and Spine unit, which provides hardware and artificial discs for spinal surgeries. The unit’s growth is expected to continue long term. Like Stryker, Johnson & Johnson faced a decline in profits because of its hip implant recall. J&J reported first-quarter net earnings of $3.5 billion, a 10.6 percent drop year over year despite an 8.5 percent increase in sales. 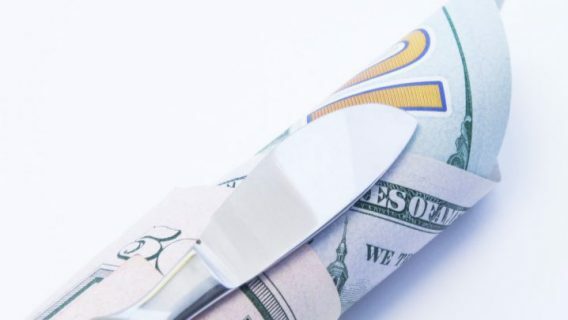 The drop in earnings resulted from after-tax special items totaling $600 million, including litigation costs and expenses related to last year’s acquisition of medical device manufacturer Synthes. 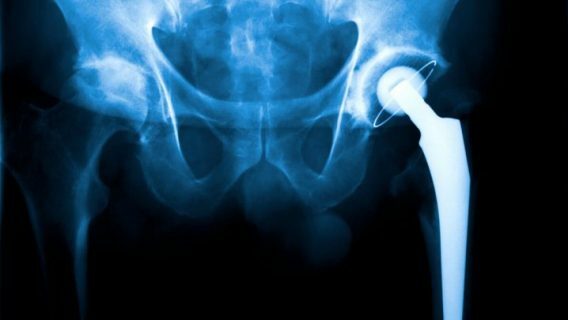 Johnson & Johnson’s legal woes sprouted from the August 2010 recall of two metal-on-metal hip implants manufactured by DePuy Orthopaedics, one of J&J’s subsidiaries. Last year, the company set aside $3 billion for lawyers and injured patients involved in ASR litigation. DePuy recalled its ASR Hip Resurfacing System and ASR XL Acetabular System after data from the National Joint Registry of England and Wales showed the devices failed for about 12 percent of patients within five years. Patients with the devices needed revision surgeries to have implants replaced. Since the recall, the J&J said up to 40 percent of the ASR implants could fail in the first five years. In the first of more than 10,000 lawsuits over DePuy’s ASR hips to go to trial, a Los Angeles jury in March delivered an $8.3 million verdict to a patient injured by metal debris shed from the implant. J&J won a second ASR hip lawsuit after a Chicago jury decided the design of the implant did not cause the plaintiff’s injury. Resolving remaining cases could cost the company billions of dollars, some experts said. Johnson & Johnson’s acquisition of Synthes, meanwhile, could pay off. First-quarter sales for Medical Devices and Diagnostics, J&J’s largest unit, rose more than 10 percent to $6.8 billion, largely as a result of the Synthes deal.